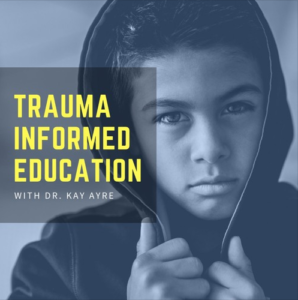 Turnaround for Children’s Manager of Applied Science, Laura Sikes, was interviewed for the Australian podcast, Trauma Informed Education with Dr. Kay Ayre. In the episode, Laura joins Dr. Ayre and Dr. Govind Krishnamoorthy to discuss her experience as a classroom teacher in Harlem, how she sought to expand her toolkit to include knowledge about the developing brain, why she joined Turnaround for Children, and how Turnaround’s approach equips educators across the country to better serve their students. Dr. Kay Ayre is a Lecturer in Education in the School of Linguistics, Adult and Specialist Education at the University of Southern Queensland. Dr. Govind Krishnamoorthy is a clinical psychologist who works at the Brisbane South Evolve Therapeutic Service (ETS), Child and Youth Mental Health Services, Queensland Health. Like Laura, they are dedicated to translating the science that explains how children develop and learn, especially when they face trauma and ongoing adversity, into strategies and practices that can benefit more teachers and students. Listen to the full podcast below, or download it from iTunes.